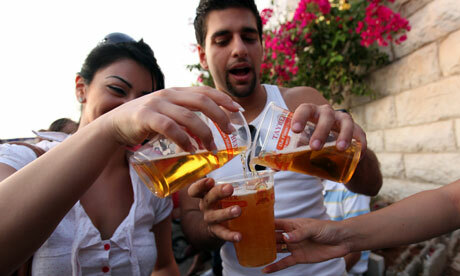 Taybeh beer festival attracts thousands of Palestinians and Israelis, as well as revellers from as far afield as US and Japan. There was meat grilling on barbecues, children with painted faces, stalls selling crafts and cakes, a stage for live music and even the odd priest wandering about. And everywhere people were clutching glasses of beer in the afternoon sun. Welcome to the annual beer festival in the rocky landscape of the West Bank, specifically the village of Taybeh, home to the only brewery in the Palestinian territories.